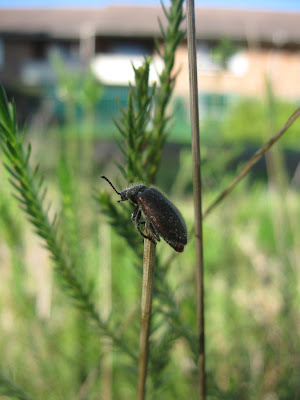 A Hairy Darkling Beetle (Lagria sp.) on the Common. According to the Field guide to Insects of South Africa by Mike Picker, Alan Weaving and Charles Griffiths, they are related to the toktokkes, the Tenebrionidae family. BELOW: A beautiful Black-headed Heron in a tall pine tree, trying to look like one of the branches.